The Valletta Design Cluster has launched a good practices exhibition which focuses on the benefits of design to small and medium enterprises. 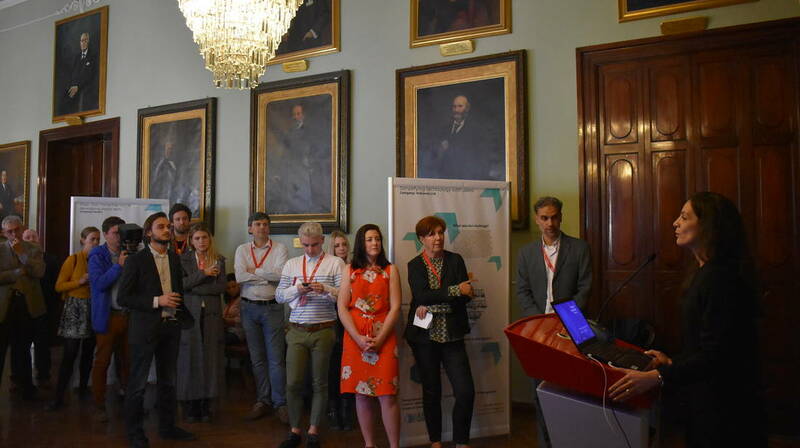 This exhibition was launched during a partner’s meeting of the Design4Innovation Interreg Europe project which is currently being held in Malta, between the 10th and the 12th of April. The Valletta 2018 Foundation, through its Valletta Design Cluster, is one of the partners in Design4Innovation, together with seven other European innovation support agencies. The Design4Innovation in European Regions exhibition focuses on the economic and social value as well as the innovative capacity that a design-based approach creates in micro, small and medium enterprises. When launching its ‘Action Plan for Design-driven Innovation’ in 2013, the European Commission had said that companies that strategically invest in design tend to be more profitable and grow faster. The exhibition, which is also part of the Valletta 2018 Cultural Programme, showcases some of the best examples of design for growth and innovation, from various project partner regions across Europe, providing opportunities for shared practices and exchange of experience between enterprises in various European regions which also wish to grow in this way. The Design4Innovation in European Regions exhibition will be open to the general public at the courtyard of the Malta Chamber of Commerce in Valletta between the 7th and 18th of May. The exhibition will also be at the Malta Fairs and Conventions Centre during the Malta Robotics Olympiad on the Valletta Design Cluster Pavilion between the 20th and the 22nd April. The Valletta Design Cluster is a project which forms part of the Valletta 2018 Cultural Programme and is also a flagship project for the European Capital of Culture. It aims to provide a community space for cultural and creative practice in Malta.